You are only going to make a reference sheet or guide of your species! You are not going to be making the pose set! Tennant here. I have decided to host a contest in which users will be allowed to create their own exclusive species for Imyndun only and submit it-- the user that creates the most favorable one will win their choice of either 6.00 deltas or a free subscription to Imyndun at the Preferred level, with a pose set being made and put in the Painted Waters based off of your design! -The work must be YOURS, and yours alone. If found that you have committed art theft or used material in any way without explicit permission, you would have done so with the intention of making a profit-- this is illegal, and consequences will follow. -No bashing, flaming, fighting with other users, or anything of the sort towards other contestants that have entered. Deliberately trying to hurt other's chances of being considered will result in a disqualification. -Be creative! The more detail and imagination you put into your work, the higher chance you will have! -If you are nominated as winner and you are given your reward, the species belongs to Imyndun. That means that you WILL be credited for the work, but the copyright is placed here, and you are not permitted to sell it anywhere else or anything of the sort. This is almost just like doing an art commission, and the same rules apply. You may enter more than one, but no more than three entries. -Lastly, have fun! 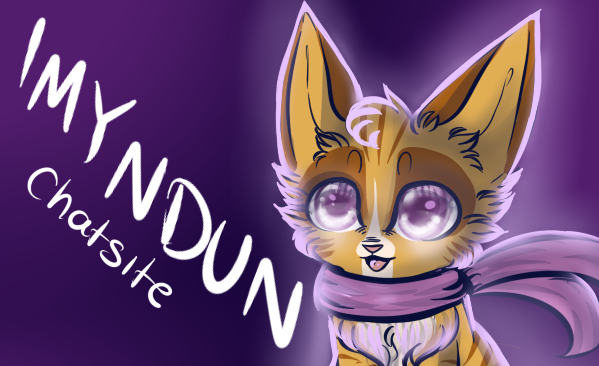 And thank you for your interest in joining and helping Imyndun grow!! You may post your finished product below, or PMSG it to me! Just a heads up, guys. Since we are getting a lot of questions about this, you do not need to make the pose set. River will be doing that. the user that creates the most favorable one will win their choice of either 6.00 deltas or a free subscription to Imyndun at the Preferred level, with a pose set being made and put in the Painted Waters based off of your design! It is not saying you are making the set. All you have to do is make up a drawing of your species and submit it! I have sent the results as a system message! <: Closing the thread.